The look of your blog is just as important as its content. 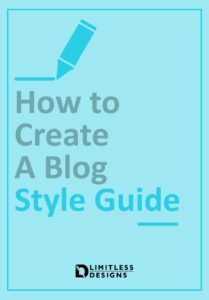 To help you deliver a beautiful and consistent experience for your readers it’s important to create a blog style guide that you can always refer to. If you’ve never created a style guide before our guide will help with that!